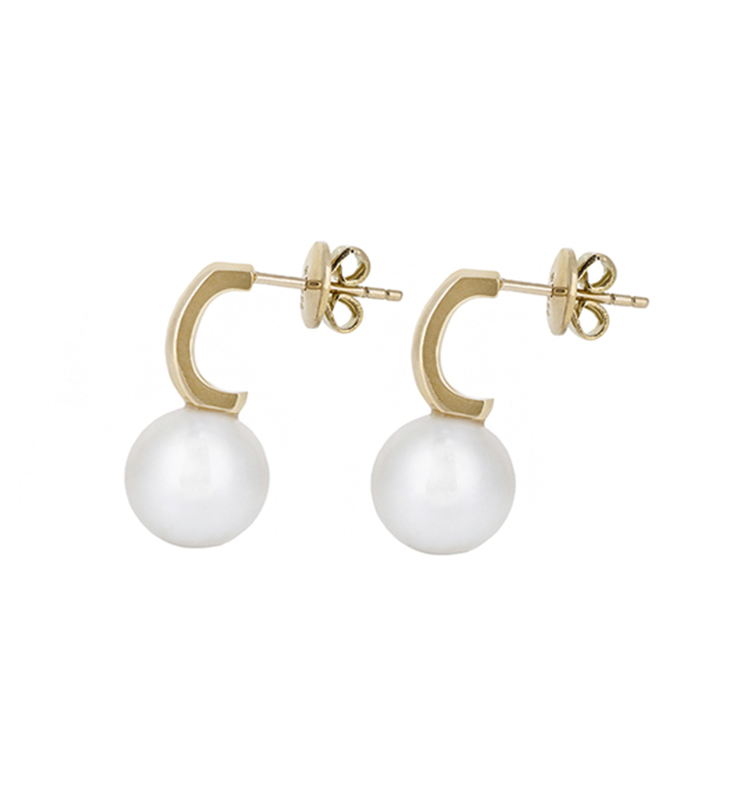 A pair of 18k yellow gold semi hoop South Sea pearl earrings. 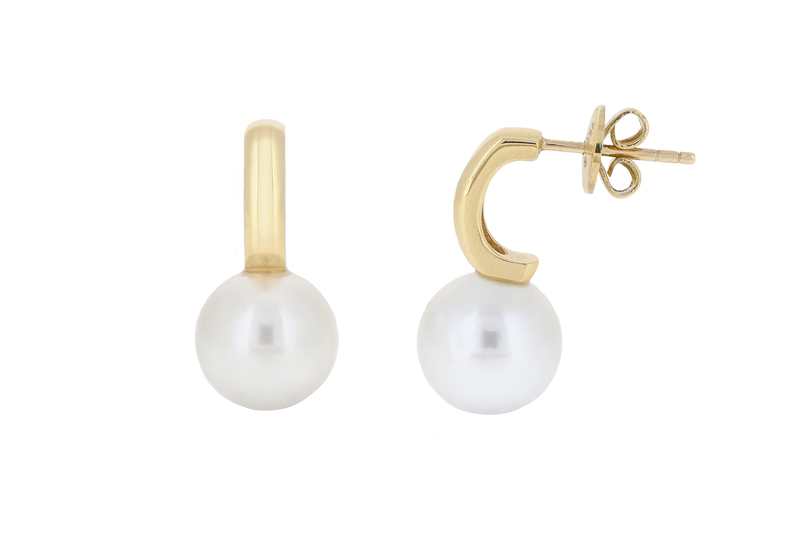 The earrings are made with a half hoop which is fitted with a post and butterfly and set with two 9mm round South Sea pearls. Looking for a pendant to match? Check out this beautiful item here.